hortont · blog · New Computer! Ahhhh! It's been a long time since I last posted, but I'm back up and running for good, now (there'll be another 24 hour outage when I move to RPI, but other than that, we should be good!). I've replaced Trinity with a nice new machine, built from a bunch of parts I bought (all from Newegg, of course). I initially tried OpenSolaris (which Mike is succeeding with), but between the package manager needing a serious amount of help and my general inexperience with a rather different OS, I had to go back to Debian. So, no ZFS for now, maybe next summer. The most awesome bit: I get 106MB/s writing to the disk (and 60MB/s over AFP over Gigabit Ethernet, or about 80MB/s over SAMBA). Mike and I discovered that Apple's SAMBA client is broken: I get about 2MB/s with SAMBA on OS X, but 60MB/s with AFP on the same system, and 80MB/s with SAMBA on Linux on the same machine. So, simply put, don't use SAMBA from Leopard. 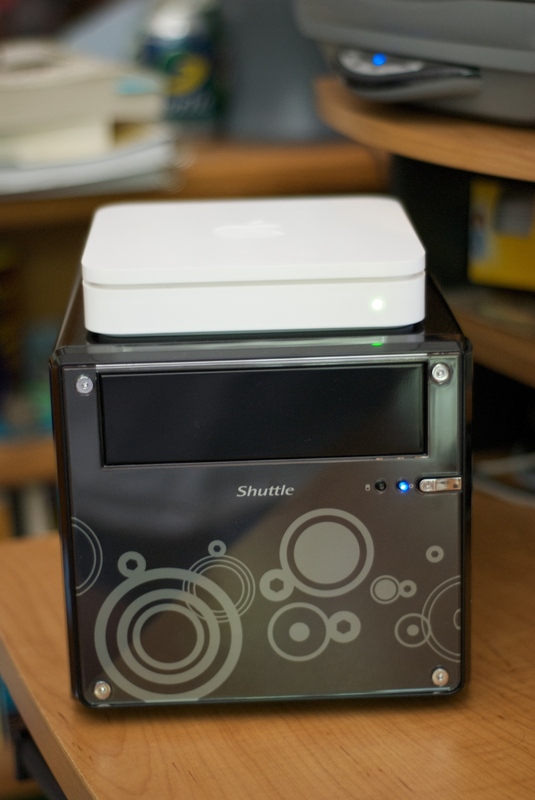 So... if you're willing to figure out the package management stuff, I'd say it's a pretty cute little machine! Anyway! I can tell you just about anything about the K48 that you want to know, since I've got one here and running. As I'm looking for an affordable box to run OpenSolaris on, could you please let me know if there are any driver issues with this lovely little puppy? I'm particularly interested in LAN and SATA controllers. Thanks! This is Jayne; forgot to mention that! Wheee. Happy to have you back, by the way!